The recent 0.4.0 update for PUBG Mobile brought us a host of welcome features like the training ground and arcade mode. Sadly, one highly sought-after feature remained out of our reach: The ability to play in first person perspective, or FPP mode. Our wait may soon be over, as this gameplay mode could be out as soon as the next update hits for both Android and iOS. 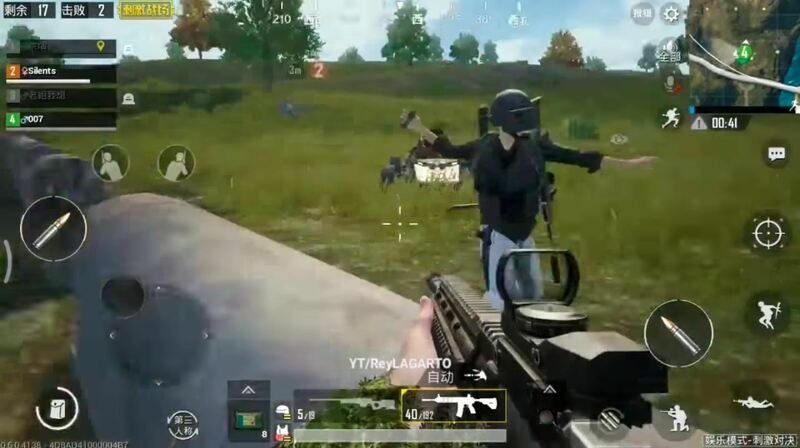 Numerous videos have surfaced — such as the one seen on Rey Lagarto's channel — showing Chinese beta testers enjoying PUBG Mobile 0.6.0 in first person mode. If these tests prove to be stable, we should see an option to play in FPP mode sometime in the near future. So if you've been sitting on the fence because you were put off by the game's third-person gameplay, now's the time to jump in. Unfortunately, we don't know how long we'll have to wait until this feature arrives, as the option is only currently available for PUBG 0.6.0 beta in China. Even worse, China tends to be a version ahead, and is currently on 0.5.x as opposed to the stateside version of PUBG which is on 0.4.0. So we may have to wait a little bit longer. At the very least, these videos give us a glimmer of hope, knowing that PUBG's developers are working hard to bring this sought-after feature to reality. Whether you can switch between first-person and third-person views in-game or through the settings remains a little murky, but since this PUBG update is still in its early stages of beta, it's pretty safe to say that nothing is set in stone. We'll be sure to keep you updated as more information regarding FPP mode on PUBG, so stay tuned. In the meantime, what do you think of this new feature? Will it give PUBG a leg up over Fortnite in terms of overall gameplay? Let us know in the comment section below.